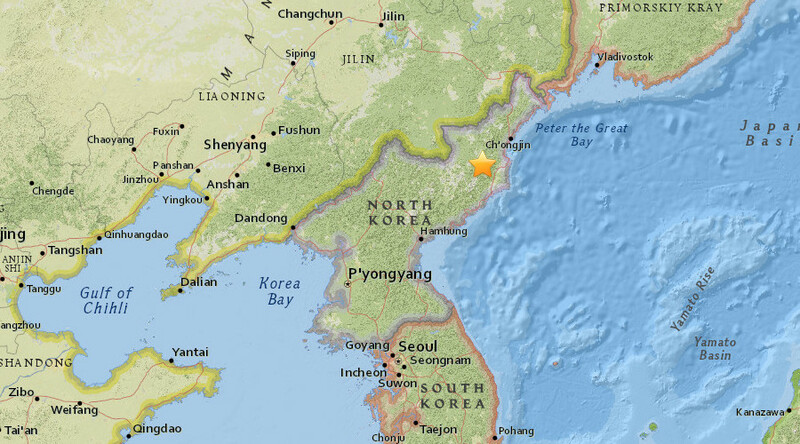 A magnitude 3.4 earthquake, at a depth of 0 kilometers, was recorded near the Kilju area of North Korea Saturday. Although initial reports suggested it may have been the result of a nuclear test, it seems likely the quake was naturally occurring. The quake occurred at approximately 08:30 GMT (16:29 local time) Saturday, CENC reported. Kilju is home to the Punggyeri nuclear site, where North Korea's sixth and largest nuclear test was conducted on September 3. There were conflicting reports as to the strength of the quake, with South Korea’s weather agency reporting that it measured 3.0 on the Richter Scale, as cited by the country’s Yonhap news agency. Although Japanese news agency Kyodo reported the quake was caused by a “suspected explosion” at the site, both South Korean and Chinese meteorological services have since dismissed this. "A sound wave, which is usually generated in the event of an artificial earthquake, was not detected,” an agency official told Yonhap. CENC also said the tremor wasn’t caused by a nuclear explosion and had characteristics of a natural quake, reported Reuters. To date, the North Korean regime has carried out six nuclear tests, with all previous tests registering above 4.3 on the Richter scale. The most recent, on September 3, was recorded as a 6.3 magnitude quake reports Reuters.